In this post I decided to send some hard drives to Recover Deleted Data to test their data recovery capabilities. I was surprised what I discovered: they were actually very good. It’s not often that an ‘under the radar’ hard drive recovery company like this are any good. With a bit of digging I found out that they were trained by Data Clinic Ltd, who are recognised experts in data recovery. 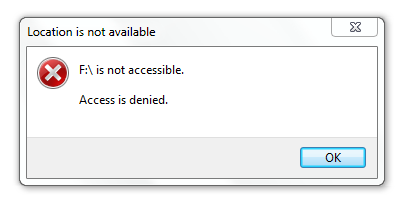 My external driver (I think he means ‘hard disk drive’) has some problems and I can not get access to my data. The lens (I think he means ‘read write heads’) are damaged and are touching the disk not allowing it to spin. I would like to recover all the data on this external driver. How much this will cost? Where do you usually save this data? Do you need a new external driver? Adjusted my WD MyPassport 1TB from one position to the other (didn’t even drop it) and it stopped working. Making the clicking noise. I need the whole 1TB worth of data recovered (I can send a working hard drive to put it on if need be?) and I am looking for preferably less than £100. My external hard drive is not working. My computer recognises that it is connected to the hard drive and the light goes on and a whirring sounds is heard but nothing appears on the screen. I have two external drive like this. I’ve tried a different cable and on 2 different PC’s but still the same problem. I’m not sure if it’s been dropped, been in close proximity to magnets (my son may have played with magnets near it? unlikely though) or whether there is a problem with the driver. I’ve had it about two years. Just before the problem started, I plugged it in at work and my work computer did a ‘scan and fix’ but then said it didn’t need fixing and it opened okay. I work in Putney/Wandsworth so quite near the Data Clinic Chiswick office if that helps. Recover Deleted Data were able to assist with sorting out the hard drive problems on all the above cases. UK data recovery experts Datlabs have launched a new look web site for their hard drive recovery business. The growth of the site reflects the growth in their hard drive data recovery business over the last 18 months or so. This is a statistic that is common amongst many data recovery companies the world over: external hard drives are just so much more popular these days, and the fact that they are portable means they get lugged around from place to place and get knocked and dropped. “Inside the casing a hard drive is a very delicate storage device”, continued Gomes, “a jolt or knock can cause real problems with accessibilty, whilst dropping and external hard drive can result in the data being lost forever”. With the likes of web sites http://thursdaynightblues.com/ and http://harddriveman.com/ reporting on many different types of hard drive fault, Datlabs should be busy, and their new site rocks! As a contractor in the computer support industry I come into a lot of contact with servers and RAID arrays. In fact, my main job is looking after the data held on SAN servers and other form of Network Attached Storage. I work for companies and government institutions as a sort of freelance computer troubleshooter and mostly use IBM, Dell and HP server equipment. The Dell servers are typically Dell Poweredge series and the HP kit is mainly Proliant. Again the equipment is hooked up to a SAN data network. Data redundancy is a big problem of mine, it’s what happens when I inherit old legacy systems that really should have been decommissioned years ago but because of budgetary constraints have continued to be used. I work on several HP Proliant and Dell SAN servers that I’d love to switch off and migrate the data onto something far more up to date like a Dell Blade or IBM X Server system. Unfortunately, I don’t really have any say in buying new equipment. Older servers and computer equipment fails more regularly, it just does. It wears out, hard drive fail, memory goes bad and UPS’s fail. What greeted me when I came into work last Monday was a failed SAN server array – 12 disks running in a RAID 5 configuration with a hot spare. Analysis of the server logs showed that one of the hard drives had dropped out of the array on Saturday causing the hot spare to click in. This had seemingly worked fine – the hot spare should simply be ‘rebuilt’ back into the array, but instead the whole array had fallen over. In the server room the SAN’s RAID BIOS reported that three of the hard drives had now dropped out from the array. Well, that would explain why the SAN server was no longer booting the array. What had caused the three drives to fail was at this point a mystery. The server in question was one that ran part of the council payroll so it was obviously important to get the SAN back up and running as soon as possible, but obviously this had to be done in a method that followed best practice. It became my task and no data could be lost in recovering the SAN either. Now I’m good a IT and SAN server support I’ll admit but when I discover 2 of the 3 drives that had dropped from the array had mechanical faults, the problem was beyond my abilities. I used a data recovery company a few years back but they were no more. 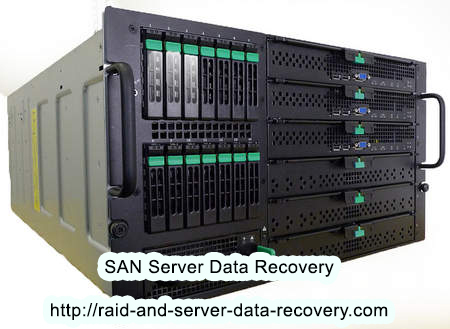 Searching online pointed me to a specialist SAN recovery company called RAID and Server Data Recovery, an online review or two told me they could be trusted and that they were recommended, so I called them. 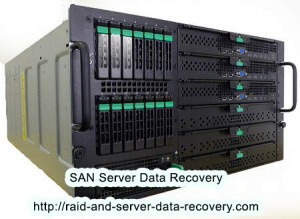 I spoke to RAID and Server Data Recovery’s specialist SAN recovery team who confirmed what I thought already. Some of the drives had mechanical damage and would need clean room attention in order to progress the data recovery attempt. I got clearance for the costs from finance and loaded the SAN server into the car and drove it down to the recovery company. Analysis showed 1 drive had a head crash while the other two had firmware issues. Firmware is code that runs the hard drive’s operating system. It can corrupt and when it does the hard drive fails. It seemed that this firmware problem was the cause of the SAN crashing and all that needed fixing was the firmware on the two failed drives. This was indeed the case and after the repairs to the hard disks were completed and the drives re-integrated back into the SAN RAID BIOS, the SAN came back online and the data was accessible again. Panic over. The data was fully restored which was the outcome everyone had wanted. Security is an important concern for any business. Having a strong security system is not only important in terms of deterring and preventing theft, but it can also be an important factor in determining your insurance premiums. Businesses need to worry about theft by local gang bangers as well as employees with access to inventory and the cash register. Even a full time security guard does not have eyes in the back of his head. To get the most comprehensive surveillance possible, you need video monitoring. CCTV DVR systems represent a great system towards these ends. Closed circuit television (CCTV) cameras are at the heart of any monitoring system. These provide the watchful eye that scans your shop, potentially 24 hours a day and 7 days a week. These can be acquired in simple black and white, color, or even with infrared capability. The latter is especially useful if they will be monitoring the place in the dark. Each camera is outfitted with a lens that defines the viewing angle. These lenses can be configured for a very wide fisheye style viewing angle to cover the most real estate possible. They can also cover a narrow field if you need a close up view with detail, such as perhaps near a cash register where one might want to be able to catch the denominations of any bills pulled out. Cameras can also have zoom lenses that can pan in and out when controlled remotely. It is not uncommon for CCTV cameras in such a system to be hard wired directly to a digital video recorder (DVR) which will record all of the footage in real time. However, many modern cameras are being produced to work without being physically wired in to any other device other than the electrical socket supplying power. These usually have their own wireless data transmitter that is connected to a wireless router or hub. This hub then usually connects to the worldwide web and the DVR. The DVR can be either at the location being monitored or somewhere off site where it is secured from being tampered with by employees or thieves. There are many advantages to this setup. First, this makes setting up the system relatively easy. There is no need to worry about running cable lines from various parts of the establishment, which could require substantial refits to the premises. Each camera in such a system can also be polled remotely using its assigned IP address in real time. If the DVR fails for some reason, this could be useful for obtaining real time security. Certain cameras might even have the ability to pan back and forth and zoom in and out. These could then be controlled remotely using by the IP address with this setup if suspicious activity is observed. The DVR’s primary function is to collect and store the incoming data. In older systems this would have been handled by a video cassette recorder (VCR). The obvious disadvantages of the latter system are (1) the short duration of the tape which requires frequent replacements, (2) the ability to only record one camera per VCR, and (3) the inability to go back and view previous video frames on the tape while it is still a problem. DVRs solve all of these problems. DVRs utilize a hard disk to store the data instead of a tape. All video is digitized at the level of the CCTV and then compressed into a digital file using standard computer video formats. Due to the speed of the digital processing power of the DVR, it can handle signals from many cameras at once, writing all the data onto different hard drive files as the data comes in. 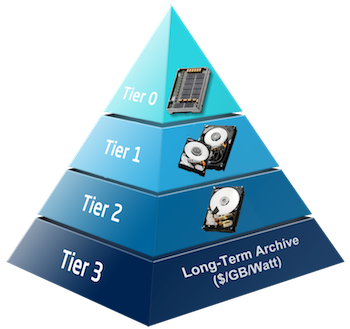 Since computer hard drives can hold up to four terabytes of data, a lot of video can be stored before the old video would have to be backed up to some other sort of backup. Since hard drives operate on the principle of random access, one can always go back and view any frame or multiple clips from multiple views simultaneously even though the system is still recording. As you probably know, hard drives can break from time to time and the data on them lost. Should this happen it’s frequently necessary to contact a CCTV or DVR data recovery specialist. DVRs can be configured as standalone units, like home entertainment center DVRs, or as personal computers outfitted to perform the same function. A computer DVR will give a business owner much more flexibility in terms of software that can be used in addition to software and hardware expansion possibilities. However, a standalone unit can be more stable since it is usually not working on a bloated PC operating system that can be prone to crash. Multiple PCs can be used, one off site and one on site, if crashes are a concern. The latter configuration also provides some redundancy in case of an outgoing network failure effecting the off site DVR or physical tampering of the data at the on site unit. CCTV DVR systems have provided business owners with more options to monitor their operations more efficiently. Deterring crime with 24/7 surveillance has never been more easy to install and cost effective. High tides and strong winds combined to defeat flood defences and damage many shops and businesses in Hull this week. Companies, shops and houses were evacuated as flood water disrupted computer systems causing them to crash and their data to be lost. Subsequently IT support companies have been called into many businesses to restore failed computer systems such as RAID servers, stand alone PC and Mac computers. Recovery work is also underway across the region as companies try to restore their computer data and get their businesses back up and running again. Flooding causes widespread disruption to computer systems and large scale data loss. Hard drives that have been involved in floods are often water damaged and have to be cleaned and carefully dried before attempts to access the data on them can be made. The drying process has to be very carefully managed as once a hard drive begins to dry out its components begin to oxidise. Oxidation of the hard drive must be prevented as it will prevent any type of successful data recovery result. One of the worst things that can be done is for a water damaged and oxidised hard drive to be powered up. Doing so will damage the platters of the drive and destroy the data. Water damage will frequently break the hard drive controller board by causing a short circuit. Swapping the controller board will no work because controller boards are now unique to the hard drives they are shipped with and contain data unique to that hard drive. A recommended data recovery company like Data Clinic are specialists in recovering the data from flood and water damaged hard drives. With many years experience in hard drive faults and data recovery they are often the company of choice for many UK businesses and individuals. With regional offices throughout the UK, customers can call in and have their hard disk assessed or take advantage of a countrywide free collection service. Drive faults and damage is assessed and then a price given for the recovery of the data. It’s then the customer’s choice whether they wish to proceed with the recovery or not. With all the bad weather around the UK at the moment it’s not only Hull that is suffering, many businesses on the East coast of England are also taking the brunt of the poor conditions with shops staying shut and business data going offline. Computers and hard drives are resilient to many things but bad weather is not one of them, and those businesses without data backups are in for an agonising wait while the data recovery firms work at repairing their hard drives and recovering their data. Whether it’s for your business or personal use, you can’t go wrong backing up your data. You should always create a backup of your data at least once a month, even more than that if you have a lot of important information that you add to your laptop on a frequent basis. To put it in simple terms, nothing in the computer industry is fool proof. Hard drives can crash, computer hard disks can get stolen, or be dropped and rendered useless. To ensure that we are never left without our valuable data, we should always create a backup of our information. There are several methods available that ensure data is backed up. Online services that back up data remotely can be used, alternatively so can external hard drives. Another cheap way to back up data and files is to burn them to a data CD or DVD. If you don’t have that much data to back up you could also use a USB memory stick. Preserving data is something you should really look into, especially if you have business material on your hard drive. As mentioned above, the easiest and quickest way to backup important data is to use an online backup service. Depending on your internet connection this can take from several minutes to several hours. It is time well spent though because at least you’ll know your data is safely stored to somewhere other than your hard disk should the drive crash. It would be an interesting study to discover how many businesses and households have lost data because of the recent flooding, what percentage of them had made backups and what percentage had to use data recovery services to rescue their data from their flooded hard disk drives.